To be ranked in the top 3% of universities worldwide, you have to supply extremely high quality education. Founded in 1908, Swinburne University of Technology has provided superior training for a very long time. 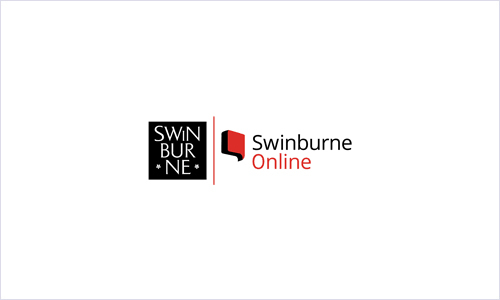 Swinburne Online was founded in 2011 by a partnership between SEEK Learning and Melbourne's Swinburne University of Technology. Since then, over 7,000 students have graduated through one of the five online training categories available. The categories to choose from are design, education, social science, communication and business. A benefit of working with this online education provider is that you will have access to SwinEmploy, an online platform to help you get employed in the career that you want. This is where you'll go to book career consultants, improve your job prospects, check casual and graduate job listings, get help with job applications and ask staff questions. You can also check for upcoming events and utilise online tools and videos. Swinburne Online doesn't require you to attend campus in person, so you're able to earn your nationally (or internationally) recognised degree from the comfort of your own home. Ultimately, you can study anywhere with a Wi-Fi connection, so if you feel like spending your day at a cafe then it is totally up to you. You also have the freedom to sign in at any time you like, so if you've got a busy day-time schedule then night studies could work well for you. Your online education will consist of interactive chat-rooms and tutoring, e-tech, and a combination of live and standard webinars. As a student you will also have the exclusive opportunity to become a Swinburne Emerging Leader. If you've done any extra-curricular activities (volunteering, travels, work) you're eligible to be tested on a range of activities to prove that you've learnt key skills that potential employers are looking for.